Want to engage with your potential customers with panoramic photos of your business? Business Photos Trusted Photographer (i.e. 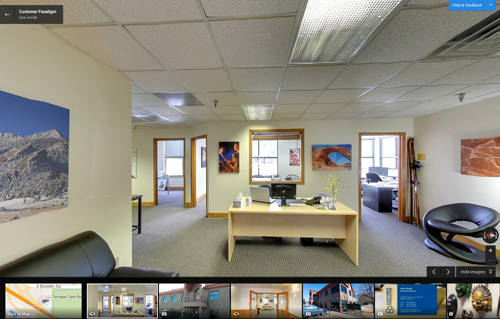 Street View Photos) allow people to peer inside your business, and evaluate your organization. A Business Photos Trusted Photographer (qualified by Google) comes to your location and takes business photos. The session takes about an hour. The photos are then uploaded, tied to your geographic location, and a panoramic tour is prepared. How much do Google Maps Business View cost? Depending on the distance from Boulder, Colorado, Google Maps Business View sessions are priced at $350 – $500 per location. This includes a photographer coming to your location, as well as the uploading, panoramic stitching of the images and tying the images to the geographic location of your business. How Long Will the Photo Session Take? The photo session usually takes about an hour, but may take longer for a larger business. 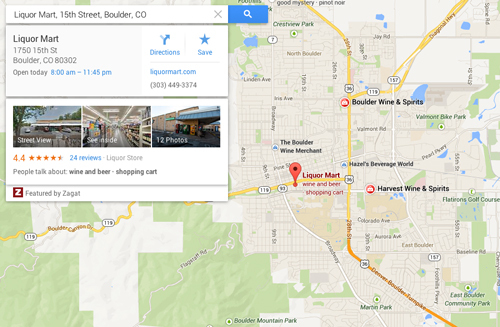 What Are Google Maps Business View? 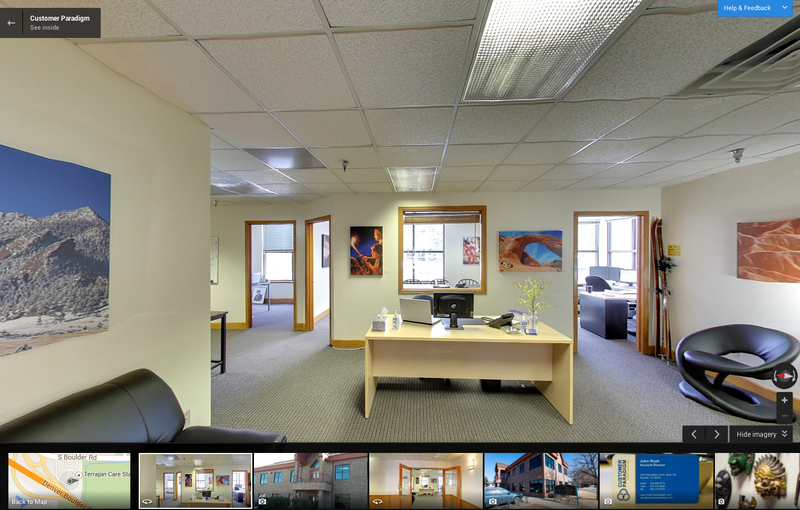 Google Maps Business View are special panoramic photos that allow a site visitor to “look inside” a business and walk through, and be able to pan around and see in 360 degrees. Think Google Street View, just inside a business. All faces, license plates and other confidential information is blurred out. Google will have license to use the photos on their site. You will also have unrestricted use of the images, including the Point of Interest (POI) photos of your business. What Businesses Do Not Qualify? Businesses must have a physical location, open to the public, that is appropriate for photography. Who Can Take Google Maps Business View photos? Only photographers who go through an in-depth training, evaluation and testing program conducted by Google are able to take Google Maps Business View photos. Special photography gear is also required. 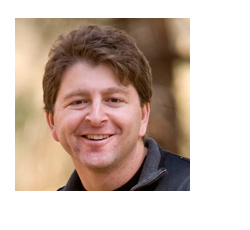 Tell Me More About Jeff Finkelstein, a Google Maps Business View Photographer. Jeff Finkelstein is the Founder of Customer Paradigm, and is a Google Maps Business View Photographer and qualified to take these photos. Jeff Finkelstein is a professional photographer specializing in press / media, commercial photography, real estate, children’s books and event photography. Finkelstein has had images published in hundreds of publications in dozens of countries. He has images on permanent display in museums in three countries, has received paid contracts from the National Geographic organization for his images, and has images featured in six forthcoming children’s books by Kar-Ben publishing. Finkelstein is member of the National Press Photographer’s Association (NPAA), and Cannon Professional Services (CPS). Finkelstein is also one of about 400 photographers in the US certified by Google’s Trusted Photographer program. 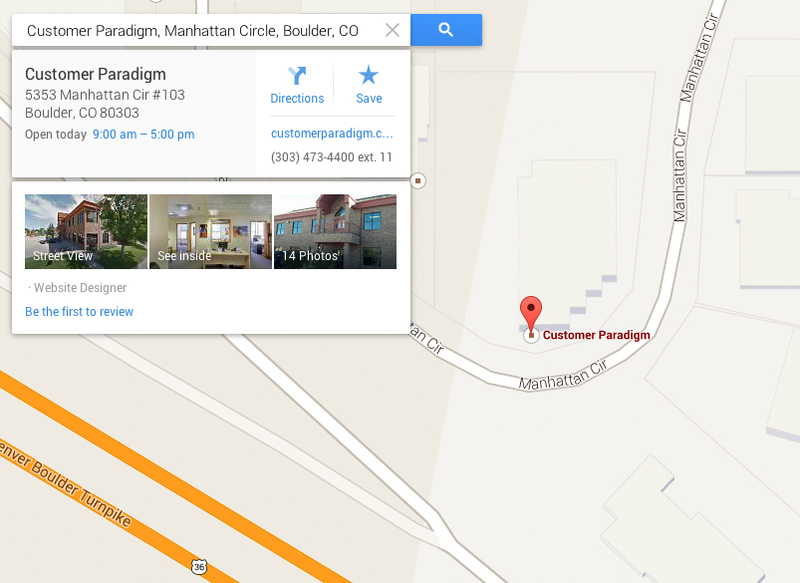 • Customer Paradigm, interactive marketing agency in Boulder, Colorado. • Adventure Rabbi: Synagogue Without Walls, Boulder, Colorado. • Wathen’s and Old Medley Bourbon, Owensboro, Kentucky. As the staff photographer for the Adventure Rabbi: Synagogue Without Walls organization, and helps use photography to capture the defining moments of Jewish events and holidays, including Passover, Rosh Hashanah, Yom Kippur, Shabbat and Bar and Bat Mitzvahs. Finkelstein is the founder of Customer Paradigm, a Boulder, Colorado-based interactive marketing firm that specializes in eCommerce and interactive marketing. Strong product and commercial photography helps Customer Paradigm’s clients create compelling websites and marketing campaigns. Clients include 3M, Level 3, BP, Shell Global Solutions, Xcel Energy, Warner Brothers and Fresh Produce Clothing. With more than 8,200 projects completed for hundreds of clients since 2002, Customer Paradigm brings open source programming, top-notch project management and customer service to customers across the US. Customer Paradigm works with the top open source eCommerce software platform, Magento, and is a Magento Silver Solutions Partner. Finkelstein has been featured in The New York Times as a Web Guru, and his company has received numerous awards, including the prestigious 2008 Rocky Mountain Direct Marketing Association Supplier of the Year Award. Finkelstein is also a member of the Worldwide Web Consortium (W3C) working group for RDF Semantic Web technology. What Does Google Maps Business View Look Like? Please fill out the form here to sign up.